Stain steel round divided plate. Stainless steel round divided plate. 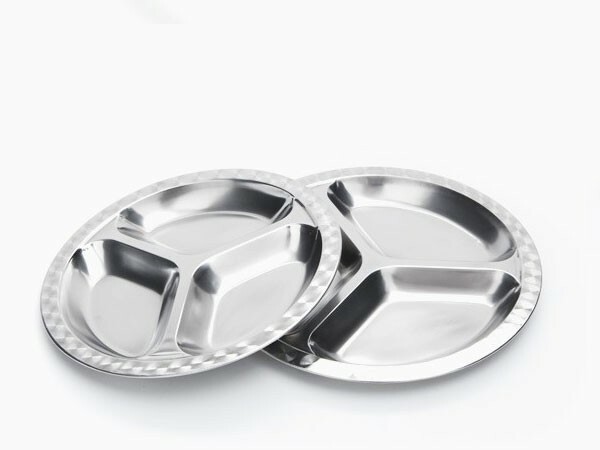 Children love these divided plates. 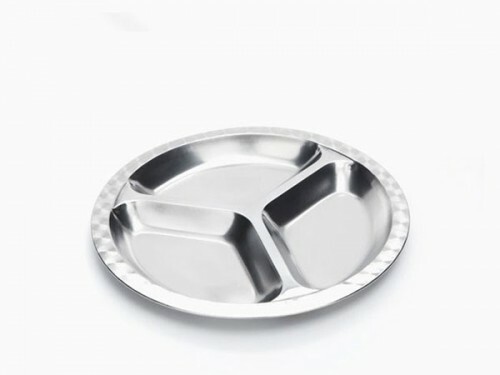 Great for the new eater, the fussy eater, portion control, snacks and for sharing. Available in three sizes - small and medium round, and a large rectangular version.